Uruguayan diplomat Luis Almagro, elected secretary general of the Organization of American States (OAS) last week, says he wants to revitalize the hemispheric organization – a herculean, if not impossible, task. Almagro was the only candidate remaining after Guatemalan Eduardo Stein and Peruvian Diego García-Sayán withdrew from the race – the former for health concerns, and the latter due to a perceived lack of support from his government. Almagro previously served as Foreign Minister under former president José Mujica and is a member of his Movimiento de Participación Popular, whose left-leaning sympathies led observers to wonder whether Almagro could draw sufficient backing even running unopposed. But Almagro received formal support from several prominent nations ahead of time, including Brazil, Argentina, Mexico, and the United States, and he got 33 of 34 votes (Guyana abstained) to secure his election. Following the election, U.S. Deputy Secretary of State Antony Blinken called for the new Secretary General to “lead the OAS through this genuine reform process by helping to refocus the OAS on its core pillars – democracy, human rights, sustainable development, and citizen security,” all while resolving its fiscal challenges. “We look to [him] for his leadership, but we want him to know that he does not stand alone.” His five-year term begins in May. The political crisis in Venezuela has long challenged the OAS, and an escalation in sanctions and rhetoric from the United States has made its balancing act harder. 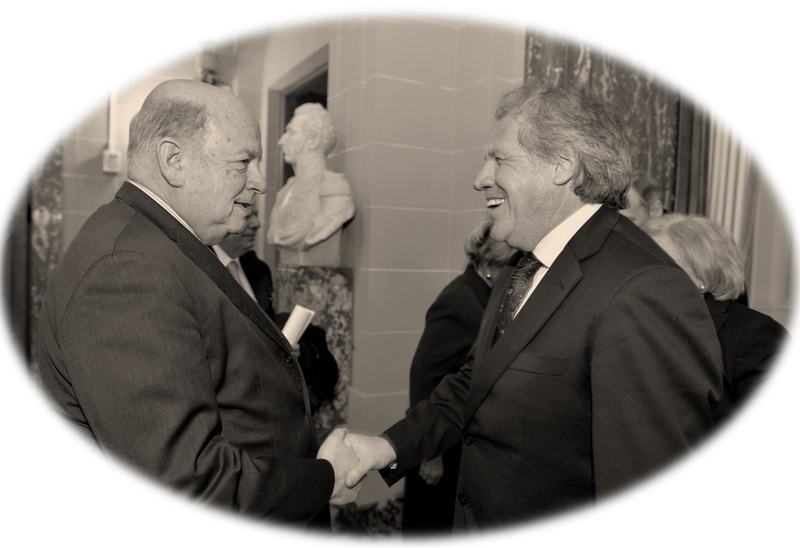 Current Secretary General José Miguel Insulza criticized the Obama administration’s national security warnings while also calling out the Maduro government for the arrest of opposition leader Antonio Ledezma and its resistance to dialogue with the opposition. Almagro has been critical of U.S. sanctions as well, and quietly worked behind the scenes to encourage negotiations between political opponents in Venezuela, but his public silence on abuses by the Maduro government worries his critics. The Cuba issue will also put Almagro in a tight spot. Havana’s participation in the Summit of the Americas is likely to build pressures for its readmission to the OAS, and Almagro’s record shows he’ll be sympathetic. But the process could be fraught with risks for the new Secretary General. Outgoing Secretary General Insulza bears scars attesting to U.S. Senators’ penchant for personalizing attacks when the OAS doesn’t go their way. Any reform agenda is going to get battered from both sides. The OAS mandates are broad and expensive, and members don’t agree on priorities. As Deputy Secretary Blinken’s comments suggest, Washington wants the organization to focus on its agenda, but much of South America, particularly the ALBA countries, wants the OAS to pull away from U.S. influence. Nor do differences lie strictly along North-South lines, as made clear by protests during last year’s general assembly against Brazil’s resolution condemning discrimination based on sexual orientation and gender identity. Almagro seems to have the experience and temperament to be an excellent choice for the job, and his coming from Uruguay, whose good offices have credibility virtually everywhere, may serve the OAS well. But the challenges will be daunting. He faces several ongoing crises, particularly in Venezuela, and ongoing splits within the region over the OAS’s role. One tempting option would be for Almagro to try to distance himself and the organization from Washington – a difficult task at best. Not only is his headquarters several hundred meters from the White House and the State Department, but the United States government (and to a lesser extent Canada) provides substantially more funding for the OAS’s general fund and through special donations than any other member state. Almagro’s actions will also be watched closely by U.S. conservatives who, stung by President Obama’s move toward diplomatic relations with Cuba, are looking for a fight over Venezuela, Ecuador, Argentina, and even on some issues with Brazil. Whatever Almagro does, it will be with the black cloud of the OAS’s financial difficulties over him, and the possibility that failing to successfully balance all of these issues may weaken the OAS and benefit regional organizations like CELAC and UNASUR, which are smaller and less well established, but independent of North American influence. Central American Minors: Headed Home? Insulza was a disaster as a leader of the unruly membership of the OAS — and he had been a worse-than-mediocre foreign minister in Chile, too. Good riddance! Let’s see if Almagro can accomplish something despite what looks like Mission Impossible.